GNS Limousines is the premier provider of professionally chauffeured luxury, event and executive vehicles for your Port Canaveral Cruises. 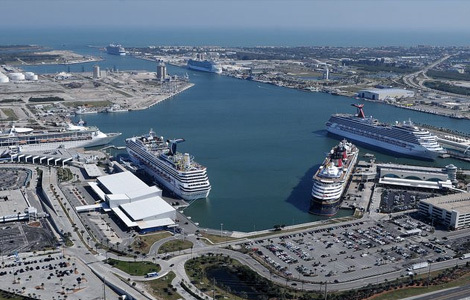 Whether you arriving at Orlando International Airport, Titusville Executive Airport, Melbourne International Airport, or live right here in Central Florida GNS Limousines is your first choice for Port Canaveral Cruise Limousine Service. Our Orlando fleet includes executive luxury sedans, stretch limousines, passenger vans luxury SUV and mini-coach’s. The GNS Limousines team of friendly and courteous chauffeurs a familiar with all drop off and pick up procedures at Disney Cruise Line, Carnival Cruise Line, Royal Caribbean Cruise Line, and Norwegian Cruise Line. Call GNS Limousines Orlando at 888-737-9292 or go on line and let one of our knowledgeable staff help you select the right vehicle based on your personal preference number of guests in your party and the extent of your Port Canaveral Cruise. Cruise plans include an extended stay in Orlando? Visiting Walt Disney World, Universal Orlando, Sea World Orlando, or one of our other attractions? Ask how GNS Limousines can service your Orlando Theme Park limousine needs.